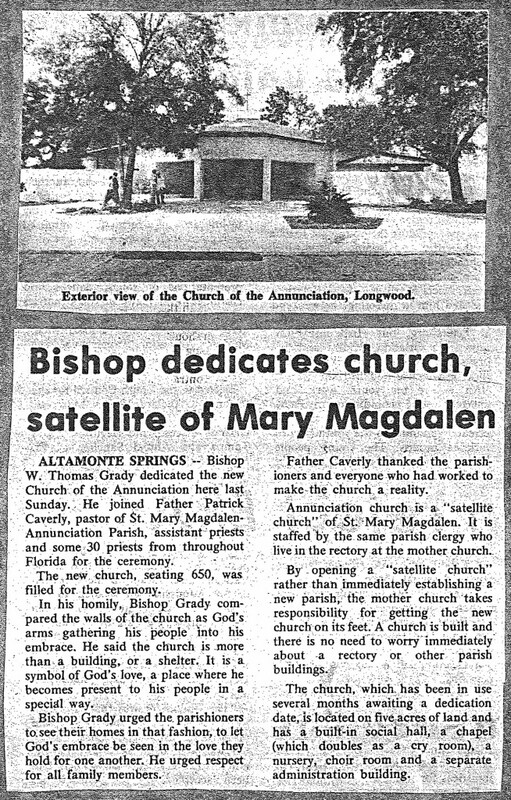 In March of 1979, the Church of the Annunciation in Longwood was founded as a satellite Church of St. Mary Magdalen in Altamonte Springs. With Fr. Patrick Caverly as the Pastor, these combined churches included 3,000 families.